I worked for Ray Wonacott in his small factory in Wenatchee, Washington from August 1978 to November 1978 when the factory was closed. These photos are from a company picnic held at Lake Wenatchee. 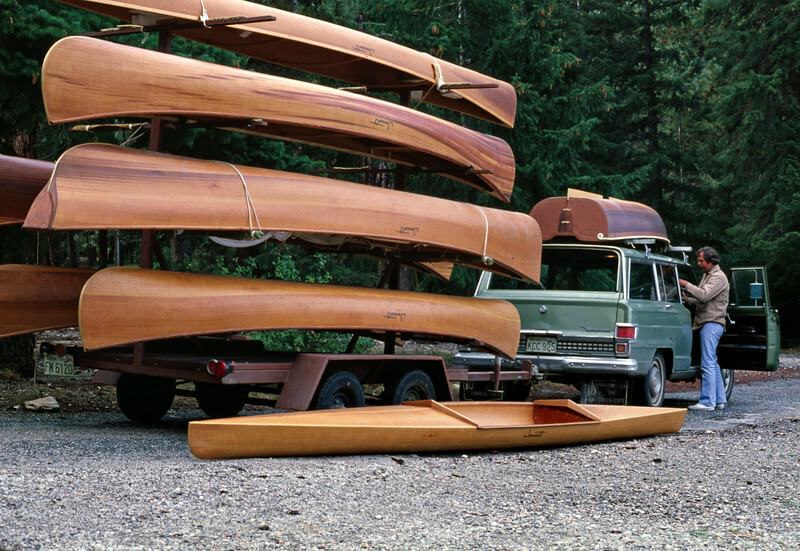 Ray Wonacott unloading cedar strip boats from a trailer for the Wonacott picnic. Lake Wenatchee, Washington. August or September 1978. 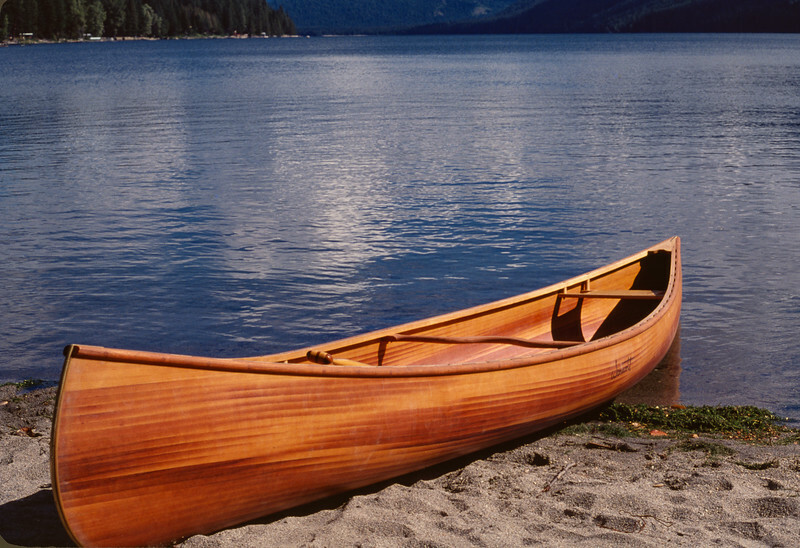 A Wonacott cedar strip canoe. Notice the 'flame' pattern produced by bookmatching the strips. Wonacott factory picnic, Lake Wenatchee, Washington. August or September, 1978. 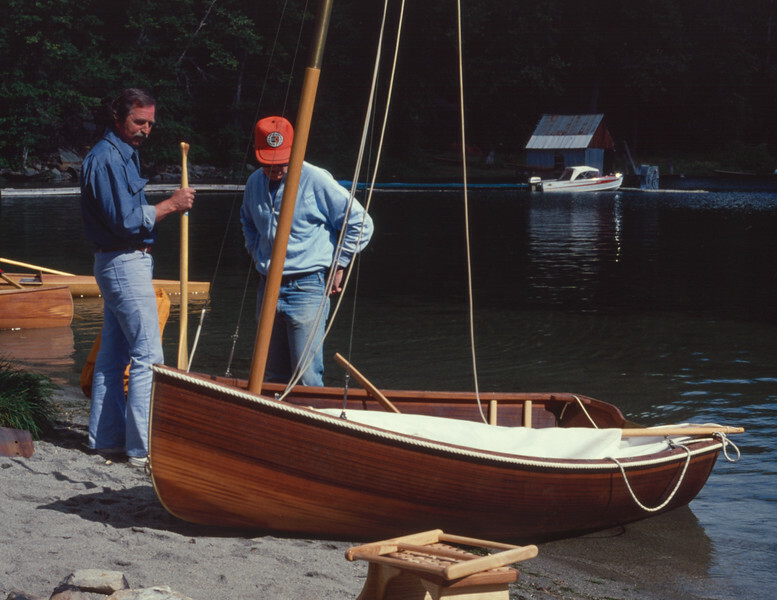 Ray Wonacott (left) demonstrating a cedar strip dinghy. Wonacott factory picnic, Lake Wenatchee, Washington, fall 1978. 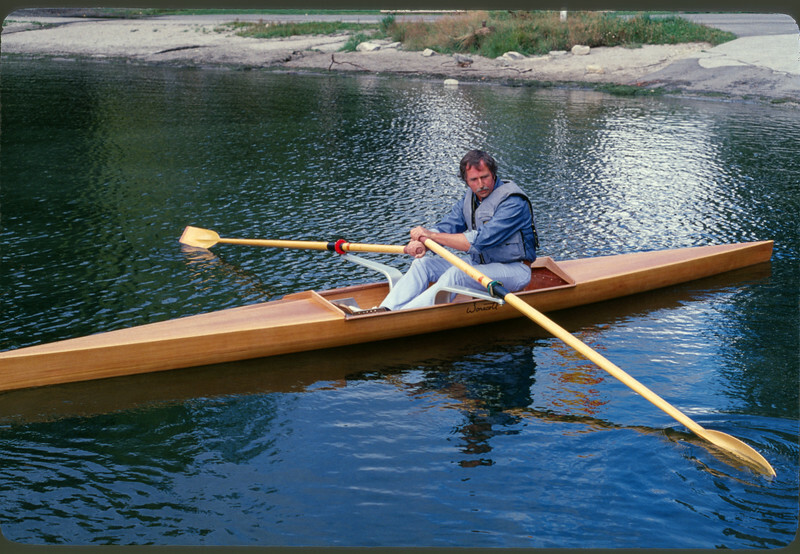 Ray Wonacott trying out one of his sliding seat rowing shells. 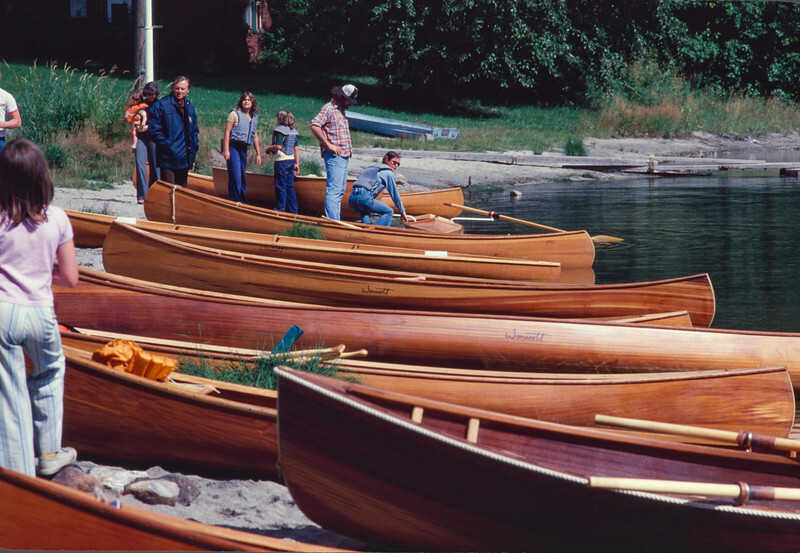 Wonacott factory picnic, Lake Wenatchee, Washington, fall 1978. 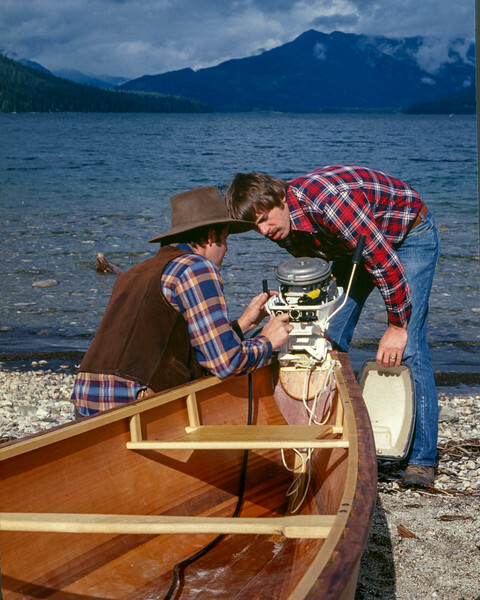 A couple of Wonacott employees hooking up the motor on a square stern canoe. Wonacott factory picnic, Lake Wenatchee, Washington. August or September, 1978. 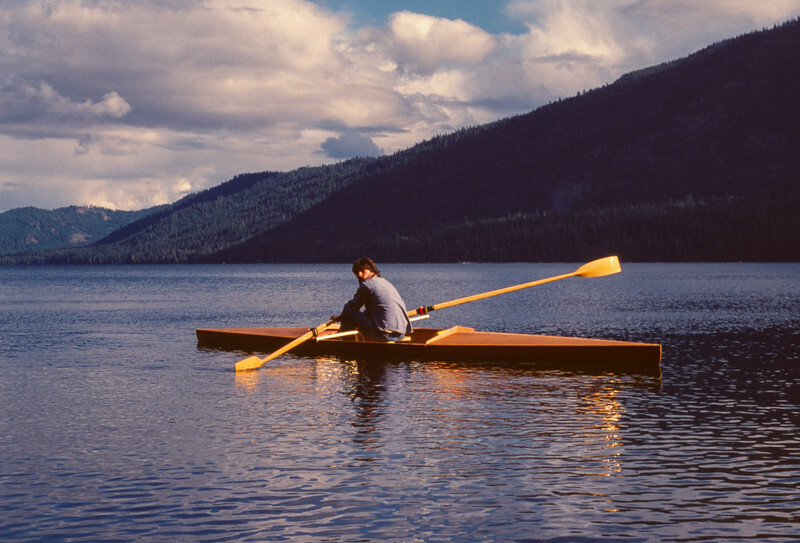 A Wonacott cedar strip canoe on the shore of Lake Wenatchee, Washington, August or September, 1978. 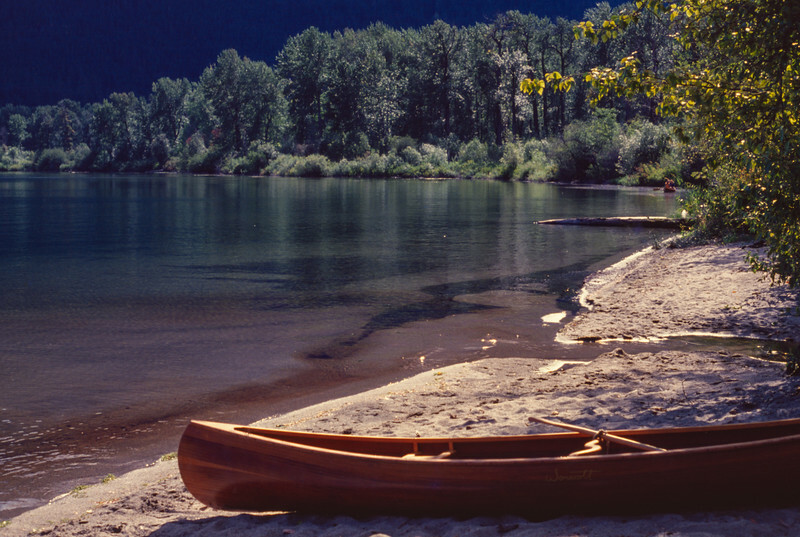 Wonacott cedar strip canoes on the shore of Lake Wenatchee, Washington, August or September, 1978. 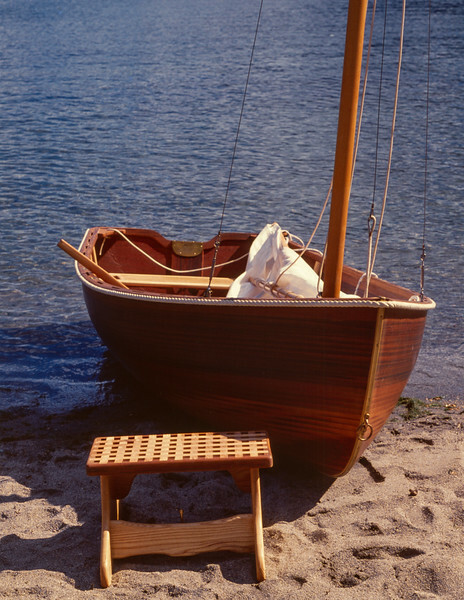 Cedar strip dinghy built in the Wonacott factory, Wenatchee, Washington, fall 1978. 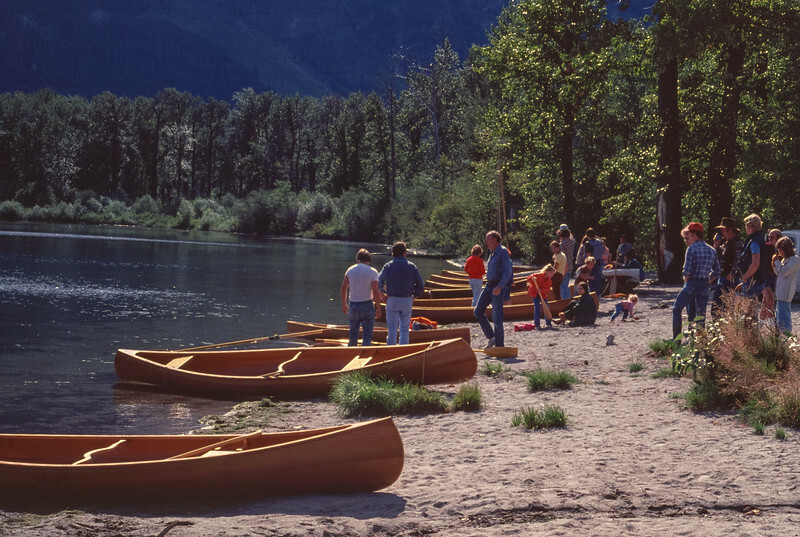 Wonacott factory picnic, Lake Wenatchee, Washington, fall 1978. Both Wonacott customers and factory employees were invited to try out the boats. 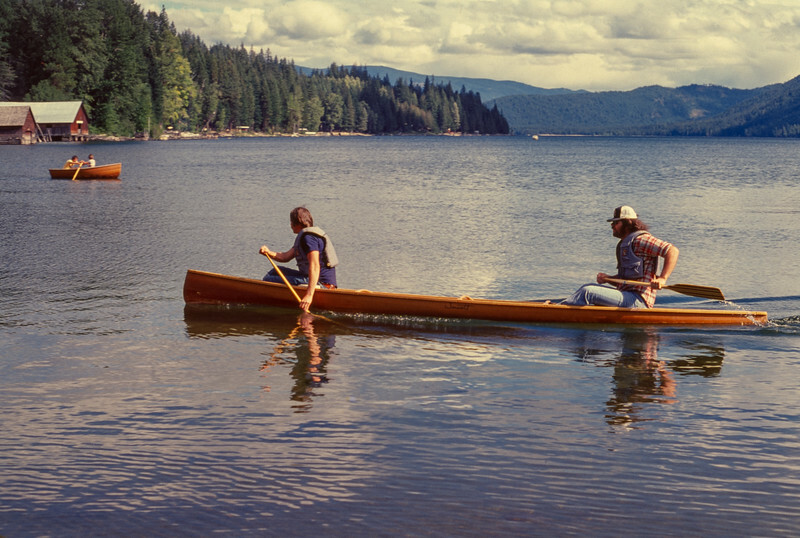 Wonacott employees trying out a cedar strip canoe on Lake Wenatchee, Washington, August or September, 1978. The big guy in the stern was our epoxy and glass guy. 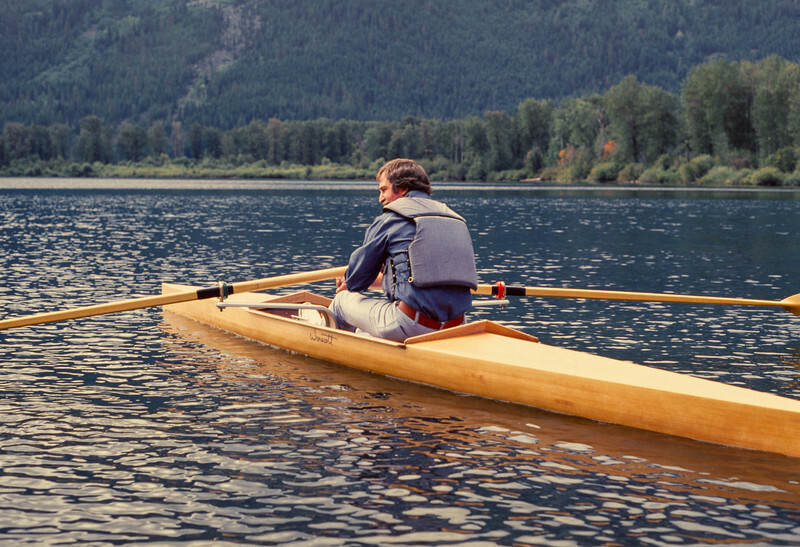 Ray Wonacott in one of his cedar strip rowing shells on Lake Wenatchee, Washington. Wonacott factory picnic, August or September, 1978. Gary demonstrates his creative rowing technique. Photo taken by Rita.